Peterson-Warren Academy has been in operation in Inkster, MI educating young minds since the mid-1960s. The school has experienced some very difficult financial times over the last several years, and we’re reaching out to the broader community for much-needed help and support! Similarly, the city of Inkster’s public education system was entirely dissolved in mid-2013, leaving only a few charter schools and our private school to serve the community and surrounding areas. We are raising funds for the 2019-2020 school year. PWA currently functions as a K-12th-grade academy, and we are raising the funds to remain a K-12 academy going forward. Peterson has faced many significant building difficulties this year, especially considering the wide variety of temperatures, which has affected the plumbing throughout the school, and the outdated boiler system, costing thousands of dollars in parts and labor. A large portion of the gym floor was recently affected by trapped moisture underneath the wood causing large bumps, waves, and uneven surfaces to slowly spread throughout the gym. The school currently doesn’t have the funds to fix the floor. The gym provided a secure and safe environment for the elementary and middle school children to play, but unfortunately, they can’t use a large portion of the gym because of the floor issue. PWA depends on tuition to fund it’s operating budget and many of our families that make a commitment to enroll their student at the school, face financial challenges that impact their ability to pay tuition in a timely manner. We would like to use some of the proceeds to help support these financially needy students. The mission of Peterson-Warren Academy is to provide an opportunity for students to develop holistically their mind, body, and spirit; to allow the Holy Spirit to transform their lives and accept Christ as their personal savior. The academy seeks to prepare young people to be of service to society and to fulfill the commission of preaching the gospel to all the world. 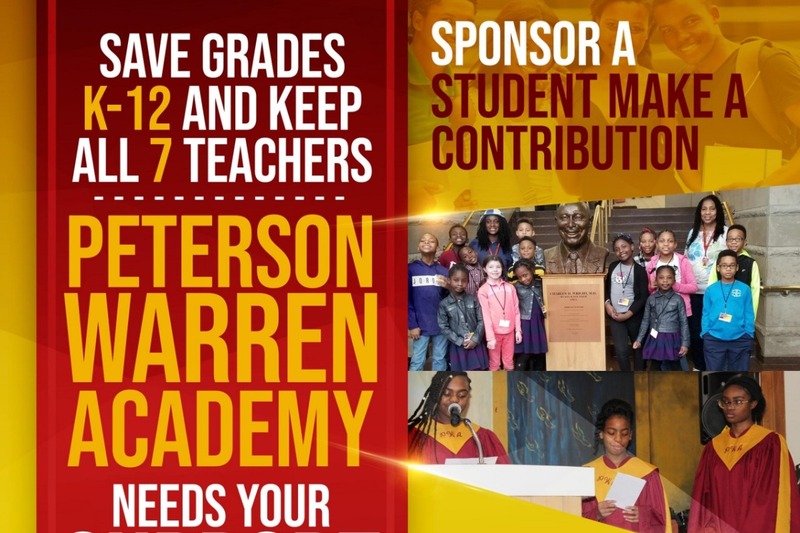 Peterson-Warren Academy operates in harmony with the guidance and direction of the Office of Education, North American Division of the Seventh-day Adventist Church.